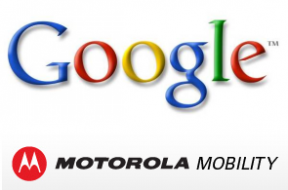 Google just announced Monday morning that it will acquire Motorola Mobility for $12.5 billion. Motorola is one of 39 manufacturers of handsets that use Google’s Android operating system. Google CEO Larry Page expanded on what that might mean in a blog. In addition to citing Motorola’s home devices and video solutions business, Page references recent patent wars that Google believes to be anit-competitive. Android will continue to be an open platform, and Motorola will continue to be run as a separate business, Page added. I wonder how the other android manufacters are going to feel about this. We know they have been re-evaluating WP7 as an alternative due to necessary licensing fees paid to Microsoft for using the android operating systems. Does this push them further towards WP7 now that google is directly competing with them?